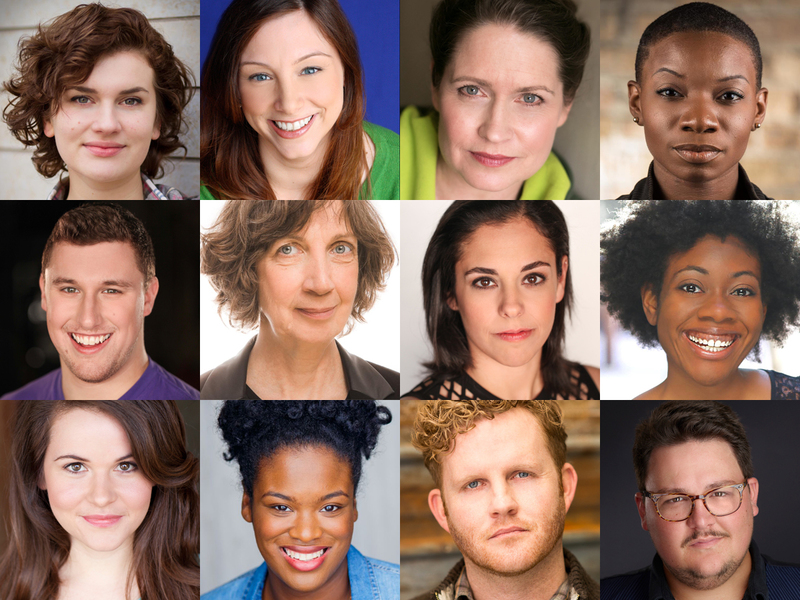 Babes With Blades Theatre Company (BWBTC) continues its 20th Anniversary Season: “Origins” with the Chicago premiere of The Good Fight, playing at City Lit Theater, 1020 W. Bryn Mawr Ave., January 6 – February 17, 2018. Developed in 2011 through BWBTC’s Fighting Words program under the title Deeds Not Words, the play is written by Anne Bertram, executive director of Theatre Unbound, a Minneapolis/St. Paul company devoted to work by and about women. Elizabeth Lovelady, a Jeff Award-winning artist based in Chicago, directs The Good Fight, which features combat by Violence Designer Gaby Labotka with Assistant Violence Designer Almanya Narula. Preview performances are Saturday, Jan. 6 at 8 p.m., Sunday, Jan. 7 at 3 p.m., Friday, Jan. 12 at 8 p.m., Saturday, Jan. 13 at 8 p.m., and Sunday, Jan. 14 at 3 p.m. Opening Night is Monday,Jan. 15 at 8 p.m. Regular performances are Thursdays – Saturdays at 8 p.m. and Sundays at 3 p.m. Preview tickets are $10, student and senior tickets are $15, early bird general admission (available online through January 15, 2018) are $20 and general admission (after January 15, 2018) are $25. To purchase tickets and for more information, please visit BabesWithBlades.org. The Women's Social and Political Union (WSPU), led by Emmeline Pankhurst and her daughter Christabel, was the primary militant group pushing for women's suffrage in the United Kingdom. Under the slogan "Deeds, not words," the WSPU advocated targeting property as a form of protest, from smashing shop windows to burning and bombing buildings. Imprisoned WSPU members – including Pankhurst – launched hunger strikes, which were initially countered by the authorities with force-feeding; later the government introduced the "Cat and Mouse Act," under which starving suffragettes were released, only to be re-imprisoned once regaining their health. To defend their leaders and comrades, the WSPU established "The Bodyguard" – a secret, all-female security team, trained in jiu-jitsu – and the good fight began. The cast of The Good Fight includes Elisabeth Del Toro, "Mary;" Alison Dornheggen*, "Christabel Pankhurst/Edith Garrud;" Delia Ford*, "Harriet Kerr;" Jyreika Guest, "Gertrude Harding;" David Kaplinsky, "Mr. Dickinson/Charlie/Inspector McBrien/Constable;" Jean Marie Koon, "Emmeline Pankhurst;" Jillian Leff, "Cicely;" Arielle Leverett, "Grace Roe;" C. Jaye Miller, "Hilda;" Taylor Raye, "Emily Wilding Davison/Wardess;" Joseff Stevenson, "Home Secretary McKenna/Constable/Inspector Gray/Prison Guard" and Richard Traub, "Mr. Hunt/Bill/Constable/Jujitsu Demonstrator" with Tina Arfaee and Catherine Dvorak*, understudies. Gaby Labotka previously worked with BWBTC as assistant violence designer and Gloucester/Hartleur/John Bates for Henry V. Upcoming, Labotka is directing Wasteland Hero for the Reutan Collective, the violence director for Night in Alachua County presented by WildClaw Theatre and the fight choreographer/assistant director for 'Twas the Night Before Christmas presented by Emerald City Theatre. 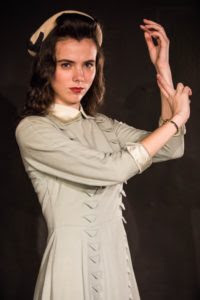 She is an advanced actor combatant with the Society of American Fight Directors (SAFD) and is frequently a teaching assistant for stage combat classes at Movement and Combat Education (MACE), The Actors Gymnasium and regional stage combat workshops. She is a proud member of the Alliance of Latinx Theatre Artists (ALTA). Almanya Narula is an actor, combatant, fight choreographer and voiceover artist from Bangkok, Thailand. She is affiliated with both the Society of American Fight Directors (SAFD) and the British Academy of Stage & Screen Combat (BASSC). Most recently she was the fight choreographer and lead actor in the music video for Nickelback's “Feed the Machine.” In Chicago, she is currently featured in the Factory Theater's production of Fight Cityand will be the fight choreographer for upcoming productions with Steep Theatre Company and Jackalope Theatre Company. Previews: Saturday, Sept. 2 at 8 p.m.; Sunday, Sept. 3 at 3 p.m.; Thursday, Sept. 7 and Friday, Sept. 8 at 8 p.m.
Press Opening: Saturday Sept. 9 at 8 p.m. Regular run: Thursdays - Saturdays at 8 p.m. and Sundays at 3 p.m.
A mishap in her father's lab gave Scarlet O'Neil the power of invisibility – a power she promised him she'd never use. But Daddy never knew there'd be days like these…. It's the Windy City of the 1940s, and Dr. O'Neil's ex-lab assistant Evanna Keil is desperate to perfect her mind-controlling Ruby Red Lipstick before selling it to the KGB. The ensuing mayhem threatens everything Dr. O'Neil worked for, and everything Scarlet holds dear. Can Scarlet save her deceased father’s reputation, his scientific collaborators, AND their military secrets, plus her kidnapped landlady, a young prodigy, a small dog, the gals at the City News and all of Chicago – if not the world? It's the Invisible Scarlet O’Neil to the rescue!